My name is Patrice Rennick and I’ve been an RN since 1982. My husband and I moved from Michigan to Tellico Village in August 2017. My specialty in nursing is wound and ostomy care; I still work part time with a durable medical equipment company as a consultant. In 1997, my then 8-year-old cat Pia was diagnosed with chronic renal failure. At the time, the vet said that aside from changing her food, there wasn’t anything he could do or recommend. He said Pia may have about one year to live. I had heard of a holistic vet nearby, so when I took her there, he did his assessment and bloodwork. He put her on a supplement for kidney support which kept her active and kitten-like, and she lived an additional six years. I was so amazed at her response to this supplement that in 2001, I began to look in to and learn more about alternative therapies. My colleague taught me to do muscle response testing using my fingers, since I knew I would be working with animals and babies. I took all four levels of Healing Touch for Animals, one level of Healing Touch (for people), followed by classes in Nutrition Response Testing, Essential Oils / Hydrosols / Flower Essences, NeuroLink, NeuroModulation Technique, Total Body Modification, Energetic System Maintenance and Laserology. I purchased my Erchonia laser in 2007, which has been a wonderful addition to my practice. Since we’ve moved here, I have been talking to quite a few people in my neighborhood about the techniques that I do, as I build my business again in the Knoxville area. 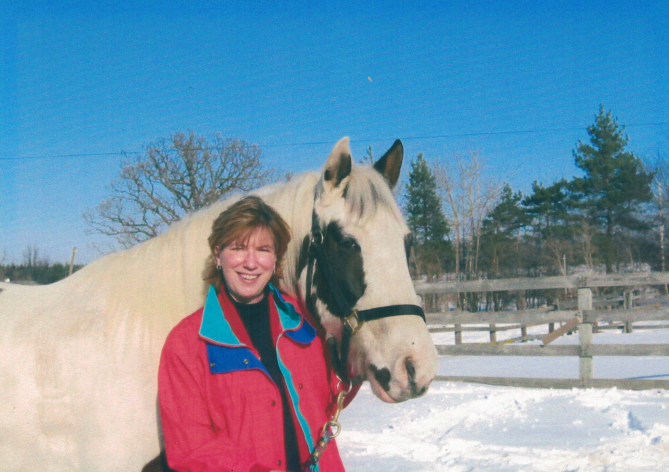 I’ve had great success working with dogs and horses who have fear-based issues whether from previous abuse, or from thunderstorms, fireworks, etc. When working on people, they come to my home office. When I’m working on animals, I travel to people’s homes or farms.